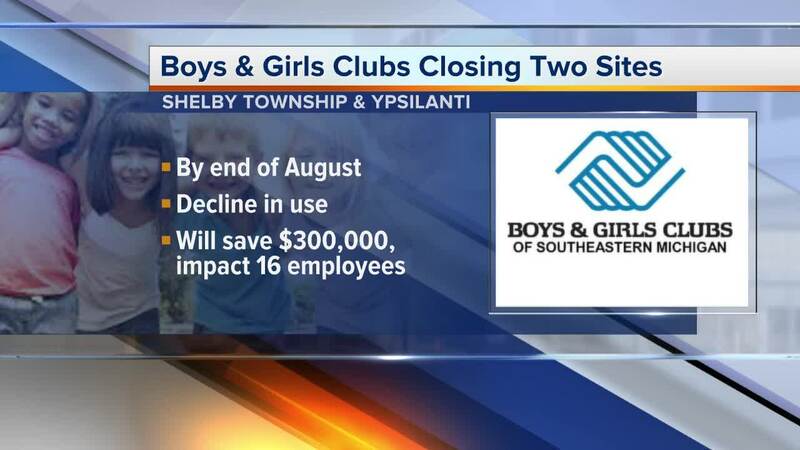 The Boys & Girls Clubs of Southeastern Michigan will close two sites this month. According to Crain's Detroit Business, the Wertz Club in Shelby Township and the Huron Valley Club in Ypsilanti will shut down on August 24. A decline in use is the reason behind the closing. Crain's says the shut down will impact 16 employees total, and resources from those two locations will be re-allocated to other Boys & Girls Clubs in Southeast Michigan.